Face Painters Durham , Face Painting Durham NC, Durham Face Painting. Durham Face Painting and Durham Face Painters are #1. Hire your very own Durham North Carolina Face Painter. 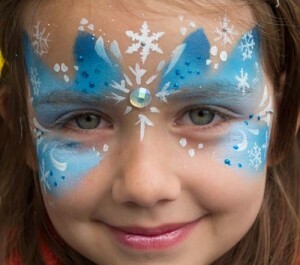 Bring some magical fun to your kid’s next birthday or any event with Durham Face Painting. Durham Face Painting, Face Painter Durham NC. Durham Face Painting and Durham Face Painters are #1. Face Painting Durham and Face Painters Durham will make schools, churches. or your children’s birthday parties a hit! Hire your own Durham North Carolina Face Painters. 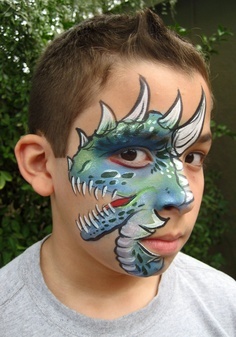 Our Durham North Carolina Face Painting Company has low prices and 10 years experience. This Durham Face Painting Company has highly trained Durham Face Painters. Looking for a Durham North Carolina Face Painter? Magic by David and CO. now offers face painting and balloon twisting. Durham Face Painter available for any occasion this will make your event unforgettable. Great for birthday parties. It’s a must for your festival. Perfect for schools and churches. Anyone needing Face Painting in Durham North Carolina give Magic by David and CO. a call. This Durham N.C. Face Painter can be reached at 919-266-1682. Make your tot’s big day an explosive celebration! Bring some magical fun to your kid’s next birthday bash with unlimited face painting and balloon twisting! One of Magic by David’s entertainment wizards will “appear” to amuse and delight for one hour of your kids party. Longer for schools, church events, or festivals. Imagine the veritable menagerie of critters who will populate your child’s birthday party! Not to mention the smiling faces of all the little party animals in attendance, painted specially for the occasion. Get out that camera, Mom…you’re about to experience a cuteness-overload! Face Painters Durham, Face Painting Durham NC . If I weren’t an awesome Durham Magician, I’m quite sure that I’d be overwhelmed by the process of trying to hire a Durham Magician. I wouldn’t know where to start looking, what questions to ask, and what I should expect to hear. The list below will help you ensure that you’re hiring a good Durham Magician and someone who will contribute to making your child’s event special and memorable. 1) Pricing: Just as there is a big range in price for painters, tutors, and restaurants, the same is true for children’s entertainers. The more expensive Durham NC magician isn’t necessarily the best, but there are a few factors to consider. A magician who charges considerably less than others is probably not too busy and is trying to get as many shows as possible. He may be okay, but he probably isn’t very well-known (if you’re considering hiring someone who isn’t well known, this would be a good time to ask for references, as mentioned above). A Durham magician who charges considerably more than others is probably very busy and is able to charge a lot because his time is much more limited. The higher priced magician might also offer more than the other magicians. Some magicians bring just a suitcase, while others bring a suitcase and a bird. I bring a 2 suitcases, bunny, Parrot , and a Monkey! I am the #1 Durham Magician. 2) Don’t be afraid to drive the conversation: When you call a Durham NC Magician to inquire about their show, they will likely give you a lot of information about their show (what it entails, how long it is, stand-out tricks, etc). Don’t be shy about asking questions or voicing your concerns-this is, after all, your child’s party! Are you worried about space? About holding the attention of wiggly children? About timing the show will other party elements, like cake? A good entertainer has experience addressing these issues and would be happy to talk you through what has worked best in his/her experience. 3) Ask around: Chances are that your child’s classmates (or classmates’ siblings) have seen another Durham Magician at someone else’s birthday party. Ask other parents if they’ve seen other entertainers and if they have any recommendations. 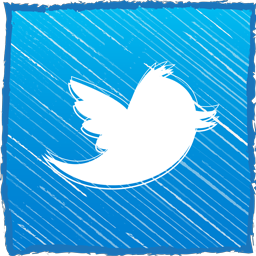 You can spend hours looking online for entertainers, but a first hand recommendation is the best place to start! Durham Magicians, Magicians Durham NC, Magicians in Durham NC for birthday parties. The #1 choice for a Magician Durham NC is Magic by David. David has shows scheduled in Durham NC. for birthday parties and holiday parties next month and thru 2015. Magicians Durham NC, Durham Magician, Magicians Durham North Carolina. Magician Durham NC serves as a Durham Magician available in all of North Carolina. Magicians Durham NC, Durham Magician, Magicians Durham North Carolina . Durham Magician David is incredible. Magicians Durham North Carolina has live animals in the magic show. Great for birthday parties. Magician Durham will make your birthday party a hit. Magician Durham NC performs all over as a Durham North Carolina Magician. Are you looking for a Pinetops Magician? Announcing a Pinetops Magician you need to discover now! Magic by David, a Pinetops Magician, is quickly becoming the choice for parents wanting entertainment for their children’s parties. If you have been seeking a Pinetops Magician that will amaze and delight your children, then check out www.davidmagic.net. The #1 choice for a Magician Pinetops NC is Magic by David. This Pinetops Magician will make any party a magical event. The Magician Pinetops NC , will thrill and entertain everyone at your child’s birthday party. Hire this Magicians Pinetops NC if you want to put smiles on children’s faces. 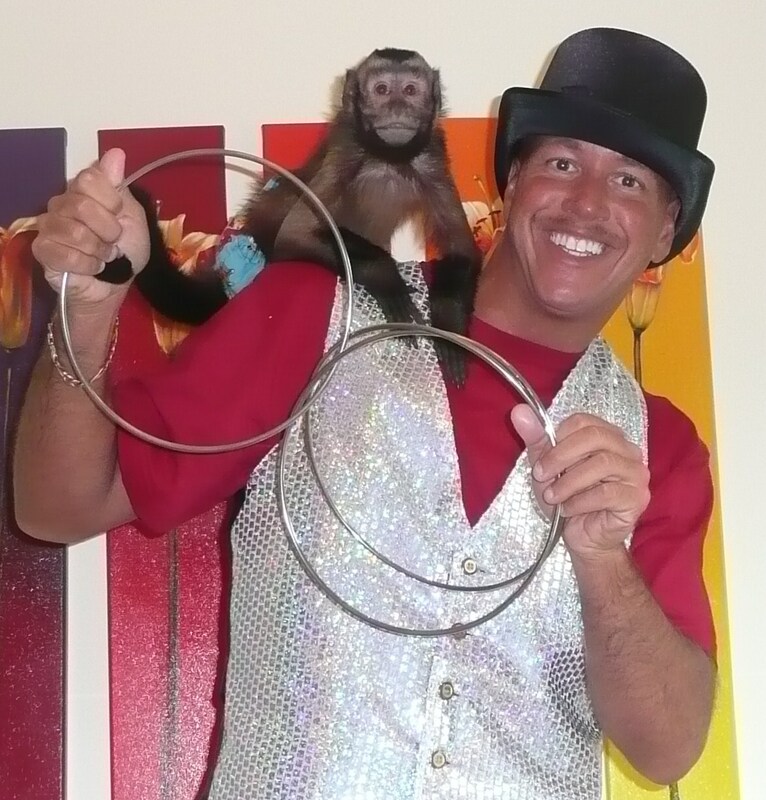 Magic by David, a Pinetops Magician, has plenty of animals that star in his show. This Pinetops Magician has white doves and of course the classic white bunny rabbit. His finale is making a real live monkey appear! David and Einstein (the monkey) will be a hit at your next party. Not only does he entertain children but adults will love and find his magic mind blowing. The Pinetops Magician show is about an hour long and is at a reasonable cost. If you are looking for a Pinetops Magician for your child’s party or another occasion, check him out at 919-266-1682 or www.davidmagic.net. David has 10 years experience being a Magician in Pinetops North Carolina. Not only does this Pinetops Magician have over 10 years experience, he also goes above and beyond to bring magic and entertainment to your event. If you are looking for a Pinetops Magician who will amaze then Magic by David is the right choice for your Pinetops Magician. Book your child’s party with Magic by David and your child will be the star of the show. This Pinetops Magician makes sure kids don’t just watch the show but are a part of it. David, the Pinetops Magician, uses lots of audience participation and keeps the children’s attention. If you are seeking a Cary Magician that will amaze and delight your child then look no further. 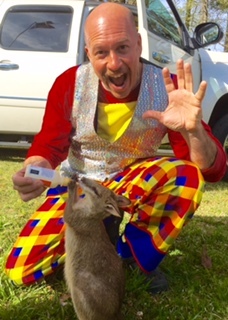 Thank you for It’s a zoo life http://www.itsazoolife.com/ for helping Magic by David make a wallaby appear! Henderson Face Painter and Henderson Face Painting Company. Henderson Face Painting, Henderson Face Painter North Carolina. 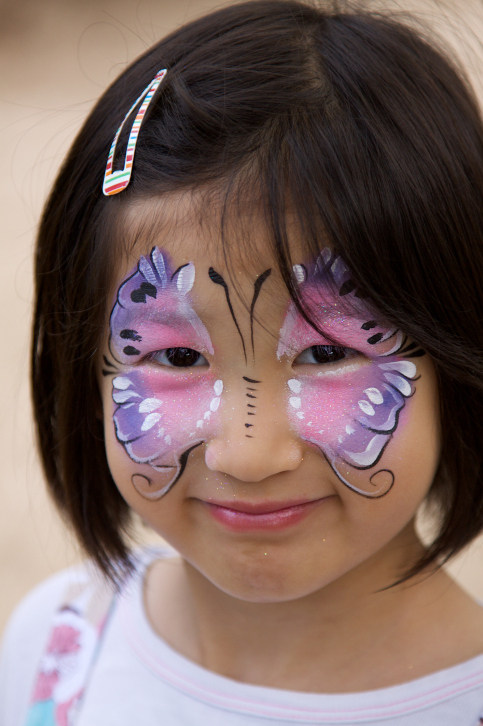 Looking for a Henderson Face Painter or a Henderson North Carolina Face Painter? Your search is over, you found an incredible Face Painter in Henderson North Carolina. David’s team are highly trained artist with 10 plus years experience. Amazing boy designs from super hero’s to animals and scary monsters and girl designs from princess to butterflies and Disney characters. This Henderson Face Painter and Henderson Face Painting Company is ranked #1. Get a five star Henderson Face Painter and Henderson Face Painting Company. We perform at birthday parties, schools, churches and company events. Great for Birthday parties, festivals or church events. Henderson Face Painter has 10 years experience. Face painter Henderson is #1. Call for a quote for this Face painting Henderson. My team offers amazing designs and top quality work. I can send you plenty of pictures of our work! Henderson Face painter or Henderson Face Painting serves all of North Carolina. Give us a call 919-266-1682. Best Rates for Face painting in Henderson North Carolina. Are you looking for a Rolesville Clown? Are you looking for a Rolesville Clown for a child’s birthday party? Consider Magic by David. David has been performing magic for over 10 years ! David is much more than a Rolesville Clown. He puts on a magic show that entertains children of all ages. A birthday party is not complete without entertainment. Why hire a Rolesville Clown when you can get a magician who puts on a mind blowing show! This Rolesville Magician is funny, amazing, and thrilling. While he is no Rolesville Clown , David offers an amazing show experience. David’s magic shows have live animals. This Rolesville Magician makes white doves appear from thin air. A tin pan is shown completely empty then a bunny rabbit appears. 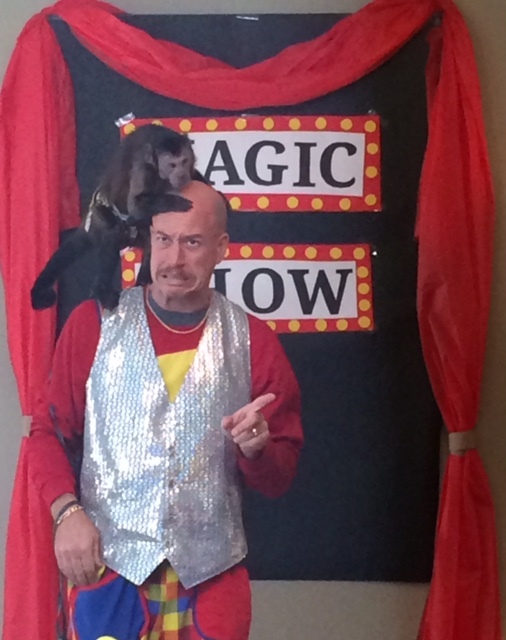 No Rolesville Clown can make a real live monkey appear out of fire , but Magic by David’s finale is just that . A real live monkey does appear out of fire. You can reach Magic by David at 919-266-1682 or his web site www.davidmagic.net Why hire a Rolesville Clown, when you can book Magic by David? This Rolesville Magician has reasonable rates. Your child will have a birthday memory that will last a lifetime. David’s show last about an hour long. He performs many illusions. The show is fast paced and has a lot of energy. The children’s attention will be kept with a Rolesville Magician not a Rolesville Clown. So parents wanting entertainment for your son’s or daughter’s birthday don’t hire some Rolesville Clown. Hire a Rolesville Magician who has entertained thousands. Hire your very own Rolesville Magician who has a show that will thrill all the children. Now of course David offers balloon animals and face painting. But you want this magician at your next party to amaze everyone from age 2-99. For more information this Rolesville Magician not some Rolesville Clown can be reached at 919-266-1682. Again you can find a Rolesville Clown at 1800-Bozo. Or have an hour packed magic show that will surely make everyone totally AMAZED!